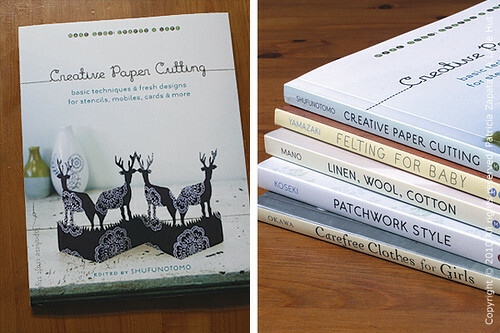 I'm always on the lookout for new paper craft books. I like to see what new ideas are out there. 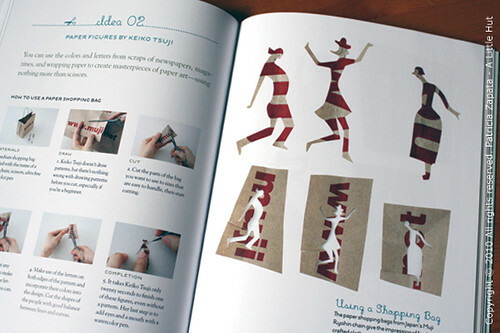 So, when I got Creative Paper Cutting (part of the Make Good Books series), for review, it was a pleasant surprise and exciting to dive into. What I really like about the Make Good books is that they have beautiful photographs and very easy to follow instructions. 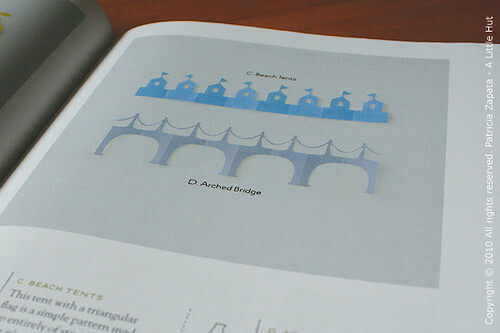 There's also a light and airy feel about how everything is laid out in the spreads. Creative Paper Cutting is no different. One way in which I consider this book different from the rest of the collection is that the projects are very simple—the level of difficulty is not very high. 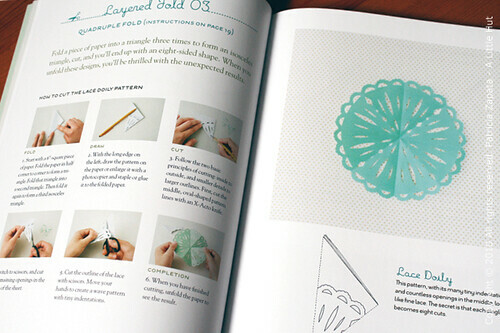 I think this book would be a perfect fit for a crafter that is just starting out with paper and scissors. The book provides many templates for accordion folds or doily type projects with illustrations of fruits, animals, dancers, and trees, among others. It also shows applications for these paper cutouts. There are many sweet ideas like the tents and bridges below. Can't you see these on a card, scrapbook layout, or wrapped around a gift box? Coincidentally, after enjoying today's last day of school, my C and a friend used this book as inspiration to create a handful of paper snowflakes. They kept asking for more paper which I very happily provided and were very focused on their work. Some days it's ok (and almost necessary) to create alone but sometimes there is nothing better than working on a fun craft with good company. I loved watching the girls having such a great time. I hope you get the chance to make something of your own—and have a wonderful weekend!